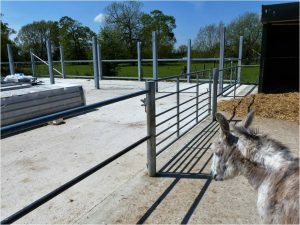 The latest news from Island Farm and our donkeys. News includes some new arrivals, reports from donkey shows and our donkeys at other events, and updates about fundraising activities and other items of general interest. 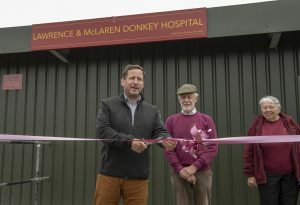 Ed Vaizey MP cutting the ribbon with John McLaren and Heather Lawrence. Picture: Christian Sinkinson at More Than Images. 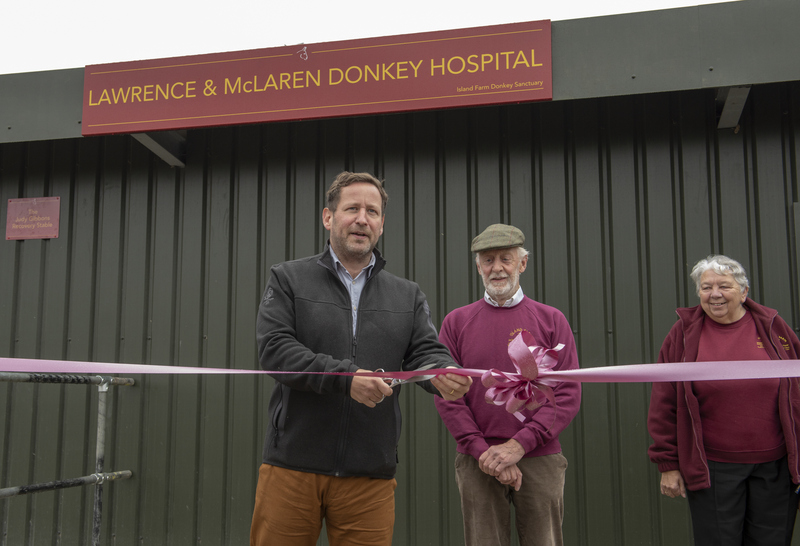 After four years of planning, fundraising and hard work we were delighted to see the day when our Donkey Hospital was officially opened by Rt. Hon. Ed Vaizey MP on Sunday 14th October 2018. 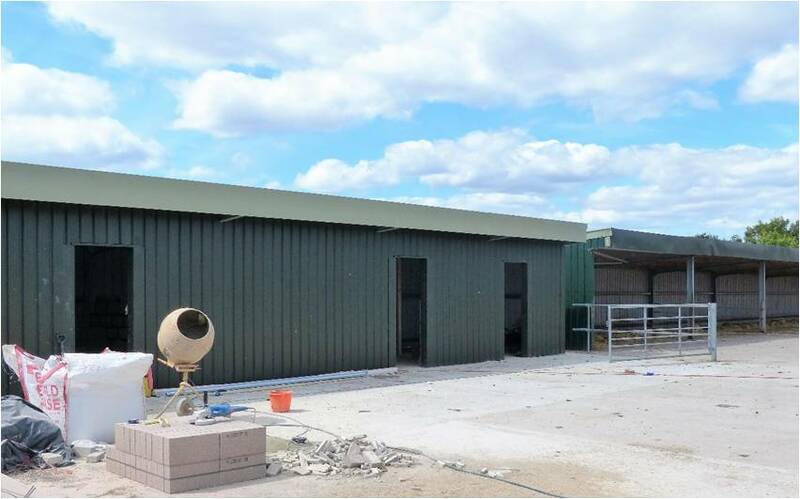 As a charity dedicated to the welfare of mistreated and neglected donkeys we wanted to give them the very best care we could by having an onsite facility to operate indoors and to be able to minimise the risk of infection. 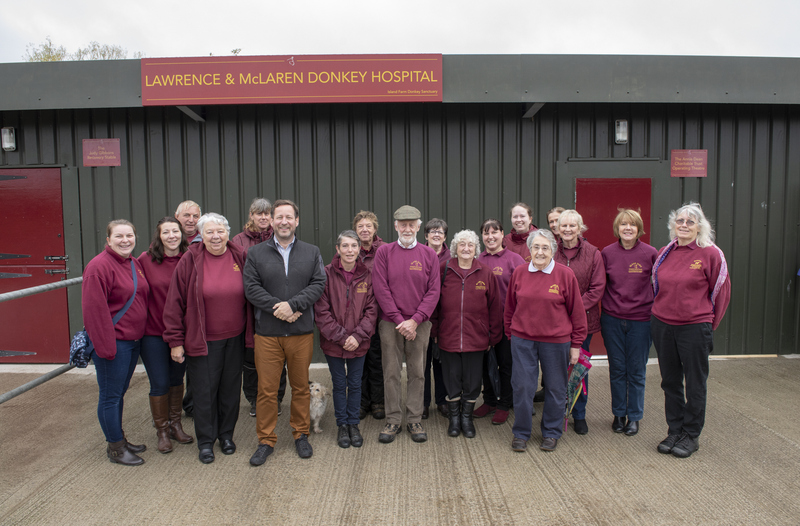 Ed Vaizey with staff, trustees and some of our wonderful volunteers. Picture: Christian Sinkinson at More Than Images. To find out how the Donkey Hospital became a reality please continue to read below. Keith Lawrence and his family had been supporters of Island Farm for a number of years. 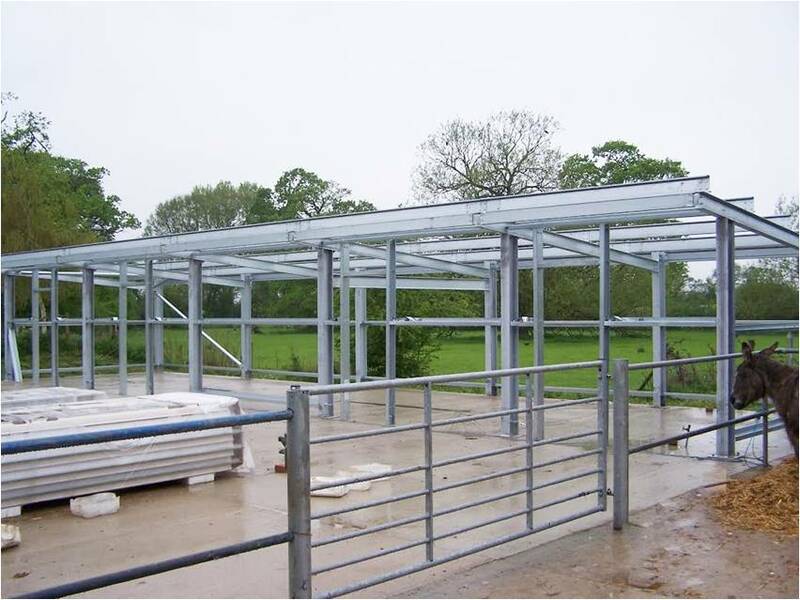 Keith was a Knight in the Royal Antediluvian Order of Buffaloes and wanted to help the sanctuary with something special. 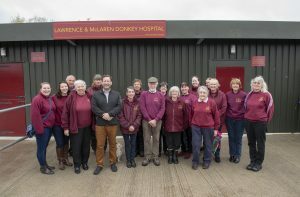 In 2014, after discussions with co-founder of Island Farm, John McLaren, it was agreed that a safe, sterile facility to treat donkeys was desperately needed and so the Donkey Hospital project began. 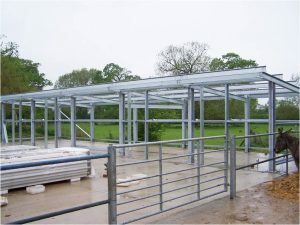 After obtaining planning permission, drawings and costings were produced and fundraising began to meet the cost of the project. 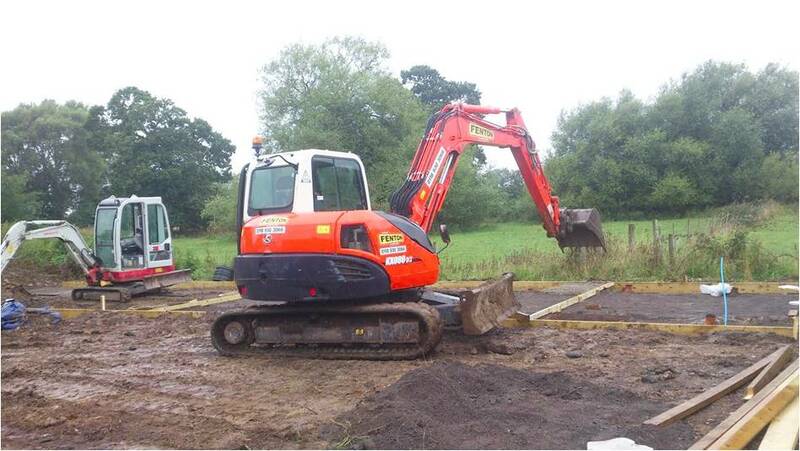 The groundworks included the installation of services and a special sealed underground waste tank. This first phase cost £17,500. 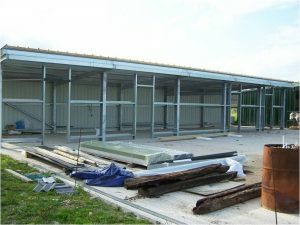 Each phase of the project would only be able to proceed as funds allowed which meant a four year wait before completion. 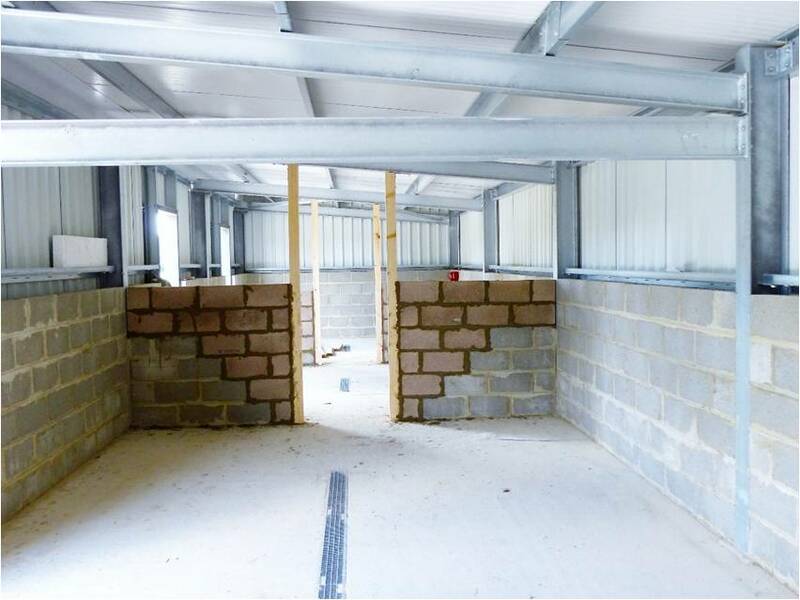 Phase two was the purchasing and erection of the hospital building, blockwork for the interior walls and recovery stables and the installing of the fencing and gates for the outside excercise yards which cost a further £19,500. 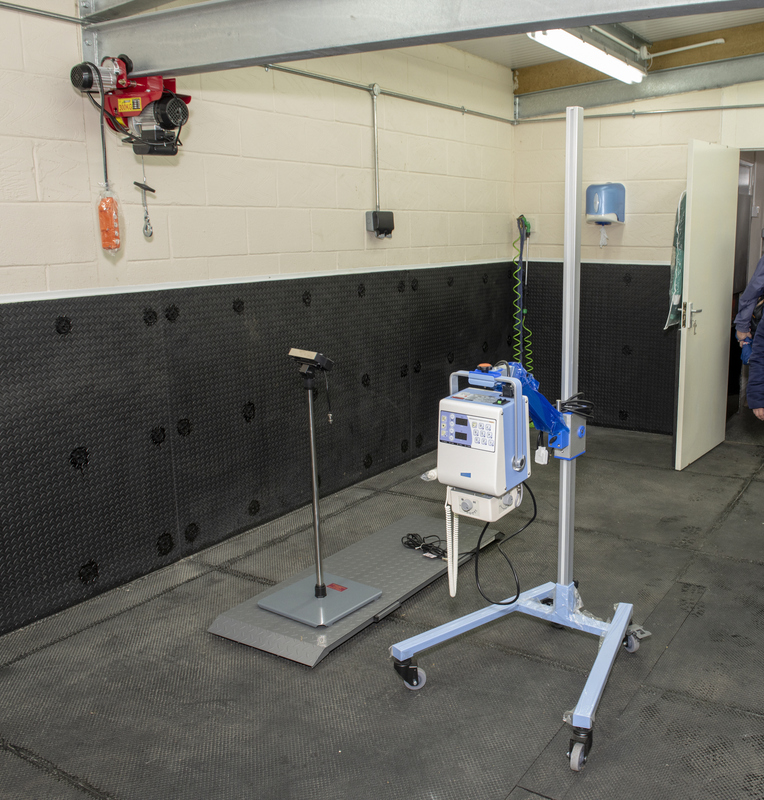 Phase three involved the installation of a special cushioned rubber floor and wall covering in the operating room, kitting out the vets preparation room and all the other fixtures and fittings needed to provide a fully functioning hospital. 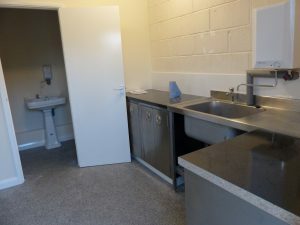 Including equipment this phase cost £26,000. The trustees and staff are grateful to local building companies and suppliers for donating various items to the Donkey Hospital. Without this support the total figure of £63,000 would have been higher. Sadly, Keith Lawrence passed away suddenly in August 2015 but his wife Heather and the family courageously continued with fundraising for the project as a tribute to Keith. Operating room showing the rubberised floor & walls and some equipment. Picture: Christian Sinkinson at More Than Images. Looking to the future fundraising will continue for phase four which will allow the Hospital to purchase new surgical and diagnostic equipment. 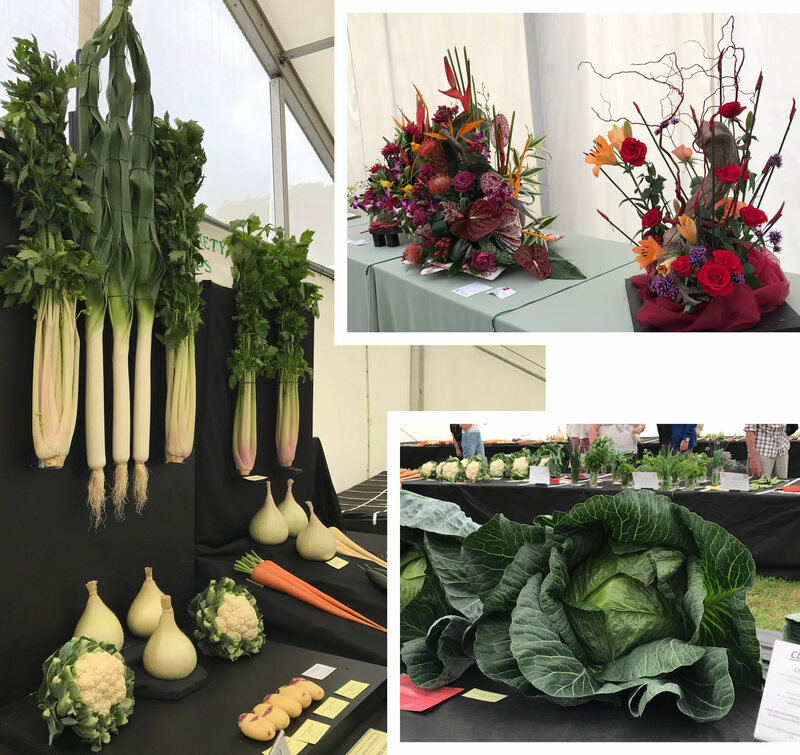 We would like to thank our In-Hand Judge Mrs. B. Evans and Driving Judge Mr. R. Sims and all the stewards and volunteers for helping to make the show a success. 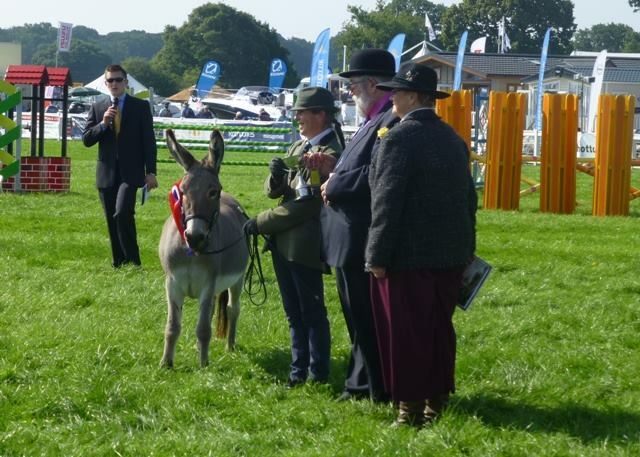 Driving Judge Mr. R. Sims presenting Claire Strang and donkey ‘Bobby’ the Driving Champion trophy. 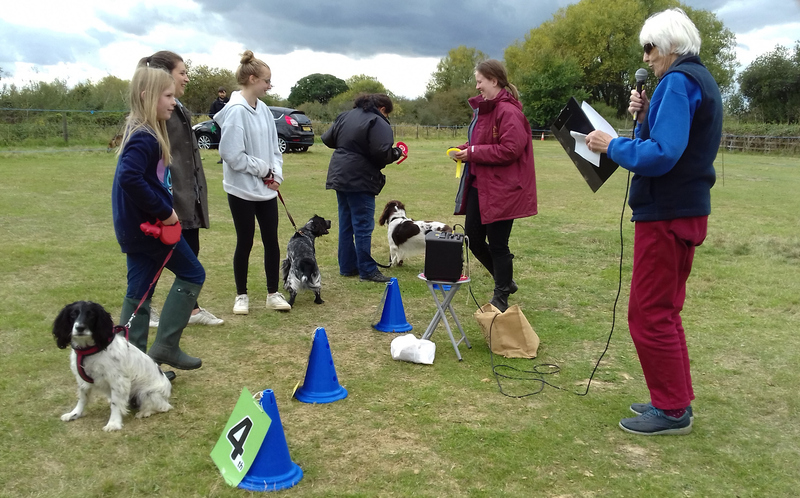 The Fun Dog Show was very well supported with all classes having entries of all shapes, sizes and colours. 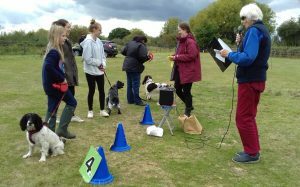 Our thanks go to George Benning, our Judge and to Heather and Annie for stewarding. 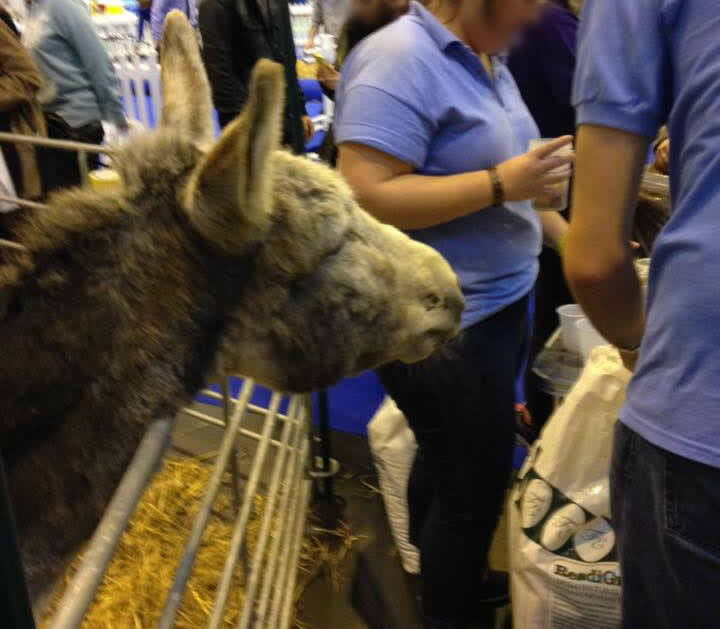 A donkey foal, or any young animal, being rejected by its mother is a sad and distressing situation. 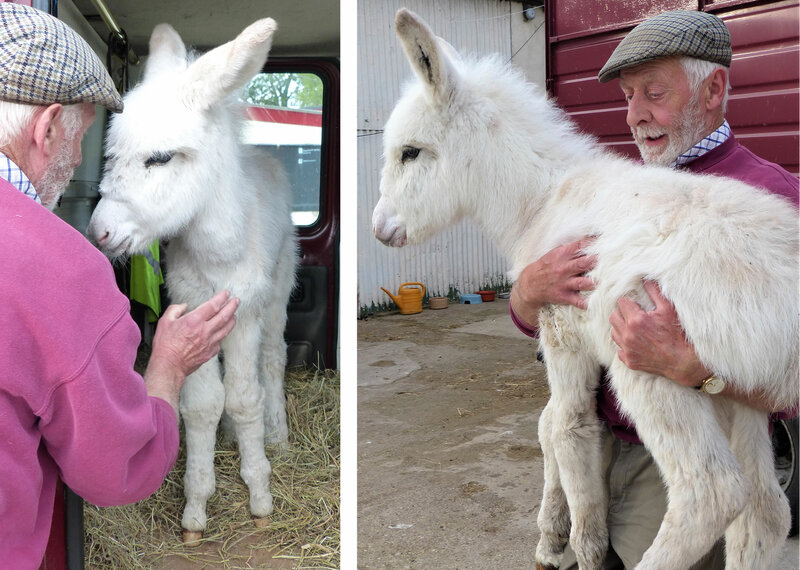 Although he had a awkward start in life, Lucas is now thriving in the care of staff, volunteers and his foster (donkey) mother at Island Farm Donkey Sanctuary. Last week the sanctuary received a phone call from a friend in Shropshire asking us to give a home to a week old foal. 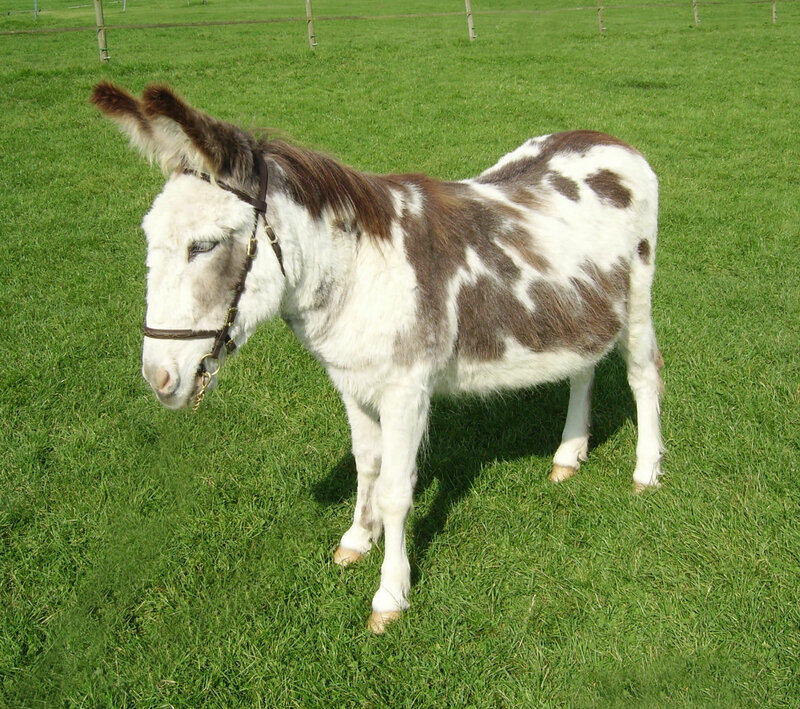 He explained that a friend of his in the area had bought a mare donkey not knowing she was in foal at the time. The pregnancy progressed well but when the foal was born he was rejected by the mare, so much so that she started attacking and kicking him. Lucas the foal was in real danger so was separated from his mother for his own safety. Although the owner wanted to keep the mare, he didn’t know how to cope with a new born foal that will need round the clock bottle feeding every few hours. 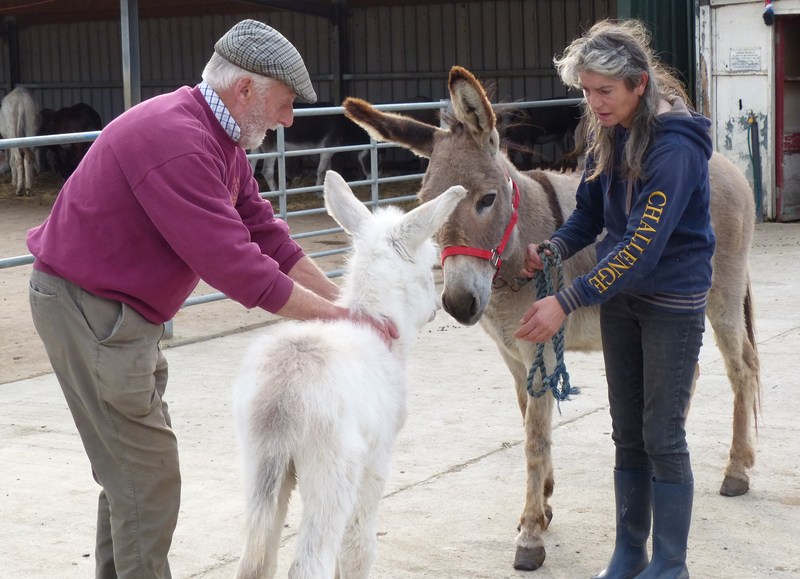 John and Linda from the sanctuary went to Shropshire to collect Lucas. Back at Island Farm he was introduced to Briony, a mare donkey who has a wonderful nature and is an excellent foster mother. Lucas and Briony have bonded and, as you can see, she is very protective towards him. Her calming nature has meant that Lucas has settled in very well. He loves his bottle feeds! 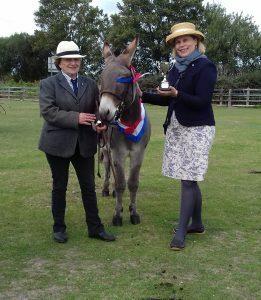 As many of our friends know, some of the donkeys from Island Farm compete at shows during the summer show season. 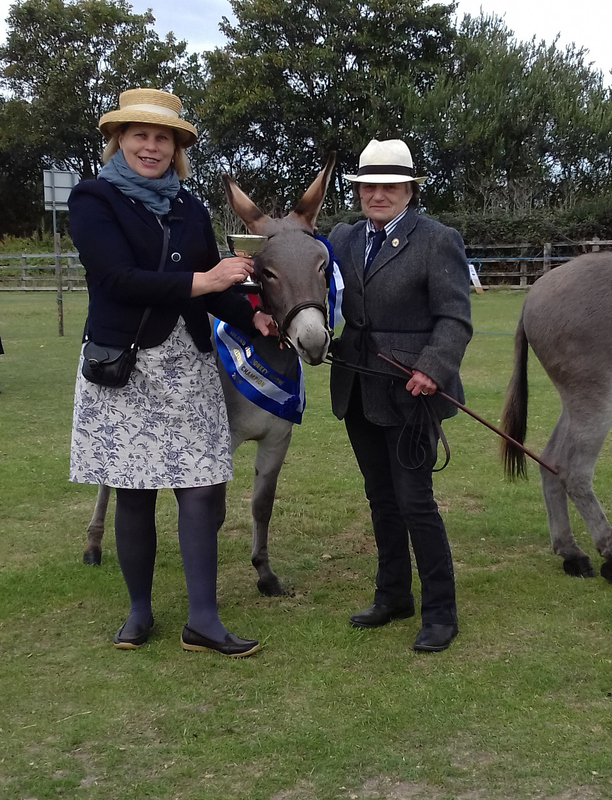 Today John McLaren and Linda Chilton entered donkeys into some of the Donkey in Hand Classes at the the New Forest and Hampshire County Show. It was an early start with the donkey classes being the first event in the Ringwood Brewery West Ring, from 8 am. 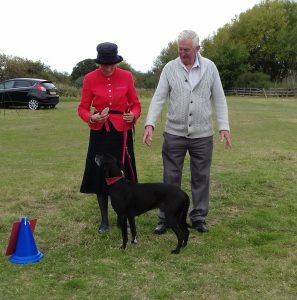 Linda showed Avoncroft Pretty ‘n’ Pink who won the 2 & 3 year old class. She also showed Avoncroft Phoebe who won the Mare Class and went on to win the Donkey in Hand Championship (photo above). 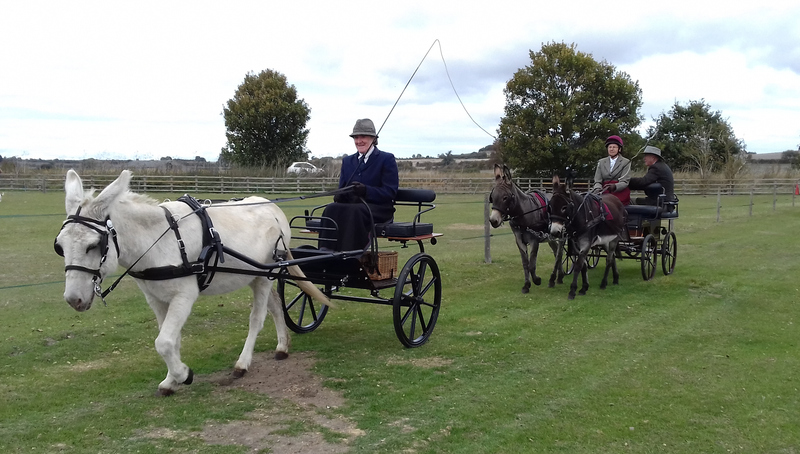 John McLaren showed Avoncroft the Commoner who was placed 2nd in the Stallion and Gelding class. We are immensely proud of all the efforts and successes of our staff, volunteers and trustees who work so hard for the donkeys in our care. We’re also delighted to share news of some of our Championship successes. Huge congratulations to all and especially to Linda and Avoncroft Phoebe who stole the show today. 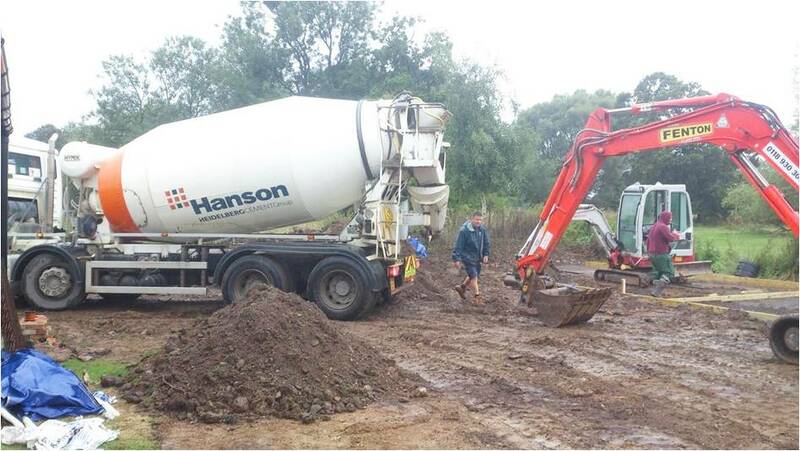 Here are a few more pictures from around the New Forest Show (Tues). The event continues over three days, 25th-27th July 2017. 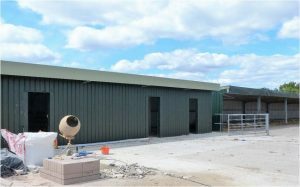 Above: It was a busy day all over the showground. 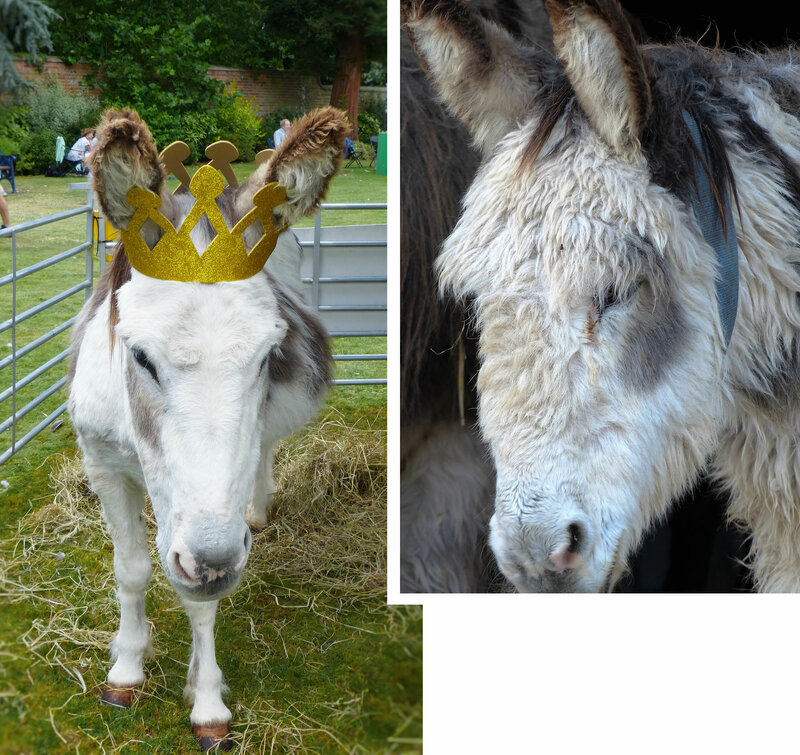 It is with extreme sadness we have to announce that we had to say goodbye to our wonderful donkey Queen yesterday evening, the 12th July. She had a mini stroke on Tuesday followed by a much bigger one the following day which seriously affected her back legs and her ability to stand. 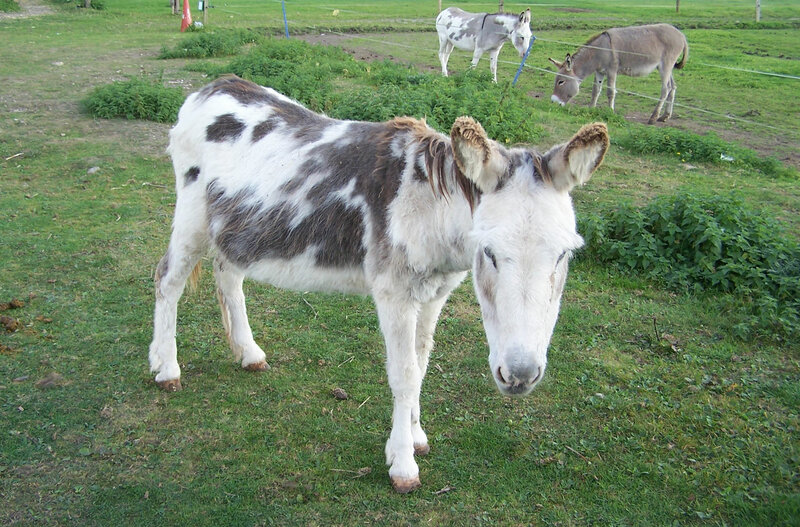 We are all very sorry to lose her as she was one of the original donkeys from when the sanctuary wasn’t even a charity and had been with us for 25 years. She had been on the adoption scheme from the day it started in 1997 which had just ‘celebrated’ it’s 20th anniversary. We will be writing personally to all her ‘adopters’ to let them know and to arrange the transfer of their adoption to another donkey if they wish to do but it will take a few days so please bear with us. As you can imagine, the staff and volunteers at the sanctuary all feel the loss of Queen as she was such a part of the sanctuary and had been matriarch of the donkey family for so long. It is with extreme sadness that we have to announce that despite the successful removal of the growth on his leg Mr. Crusty did not recover from the anaesthetic and passed away peacefully. 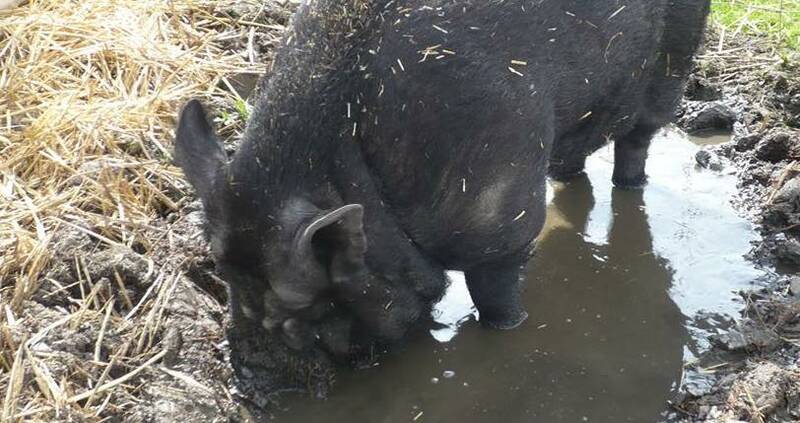 As many of you know this was Mr. Crusty’s third operation to remove a growth on his left front leg but despite a concerted effort by the veterinary surgeon, his nurse and the assisting sanctuary staff he did not regain consciousness. He was such a gentle and kind soul and he will be in donkey heaven with all our other donkeys and Billie the goat. We are all sad beyond words and you can imagine that the mood at Island Farm is very sombre at this time. Mr Crusty lived at Island Farm for 23 years coming here when he was 3 years old so he is very much missed by us all. Monty, his friend, is being given special care at the moment and we will make sure he has another friend when he is ready. 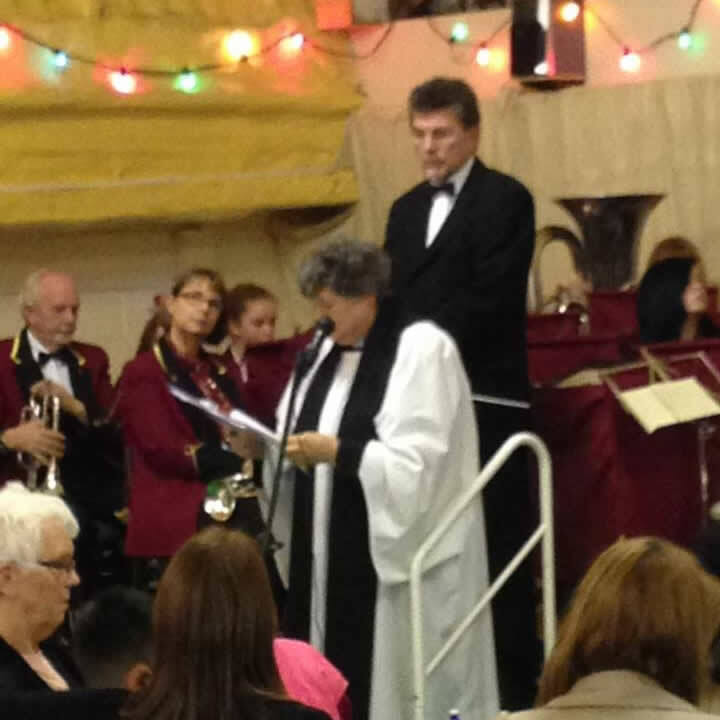 We did all we could for Mr Crusty and will miss him deeply. 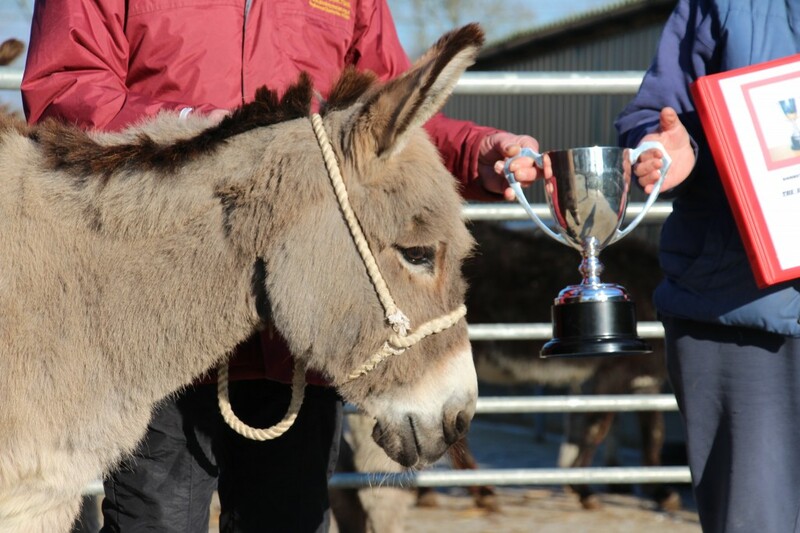 Everyone at the Island Farm was delighted to learn that Pollyanne, the Sanctuary’s famous opera donkey, was recently awarded the Donkey Breed Society Western Region Special Donkey Cup. 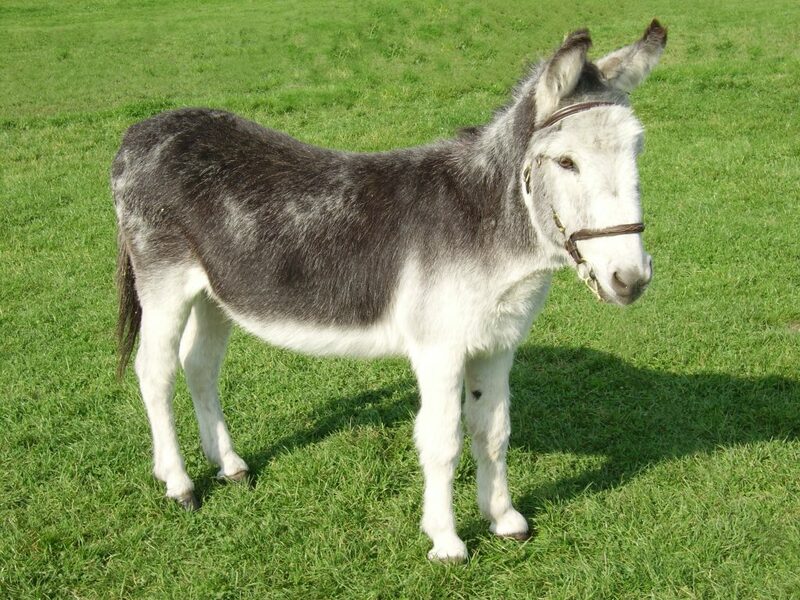 The Donkey Breed Society (DBS) is a national organisation dedicated to improving knowledge and welfare of all donkeys. 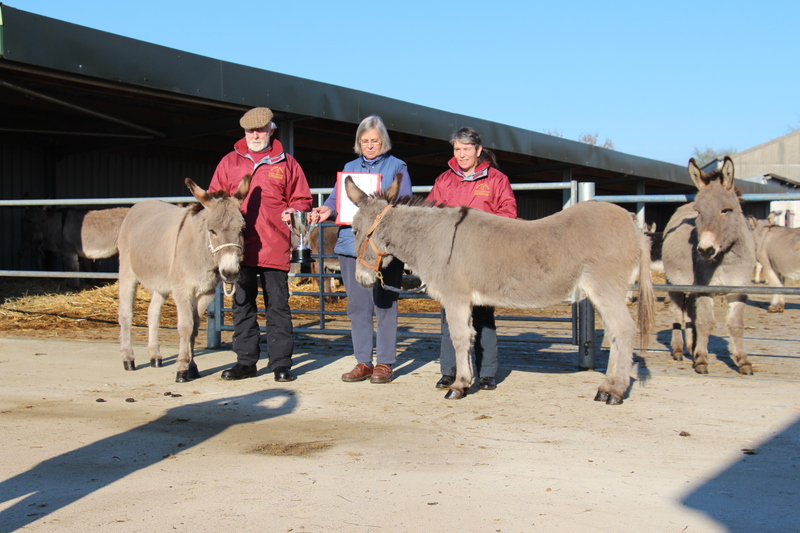 It aims to promote the care and management and to highlight the versatility of donkeys. Claire Harper, Area Representative for the DBS, chose Pollyanne for all the public appearances she does, notably the many times she has appeared on stage at the Royal Opera House in Covent Garden, London since 2006. Pollyanne has taken part in photoshoots, Church Services, visited schools, children’s hospices and care homes and has even been invited to weddings! One of her most interesting experiences was when she was the subject of a magic trick for the BBC series ‘The Magicians’ which involved her disappearing and then reappearing hundreds of yards away. 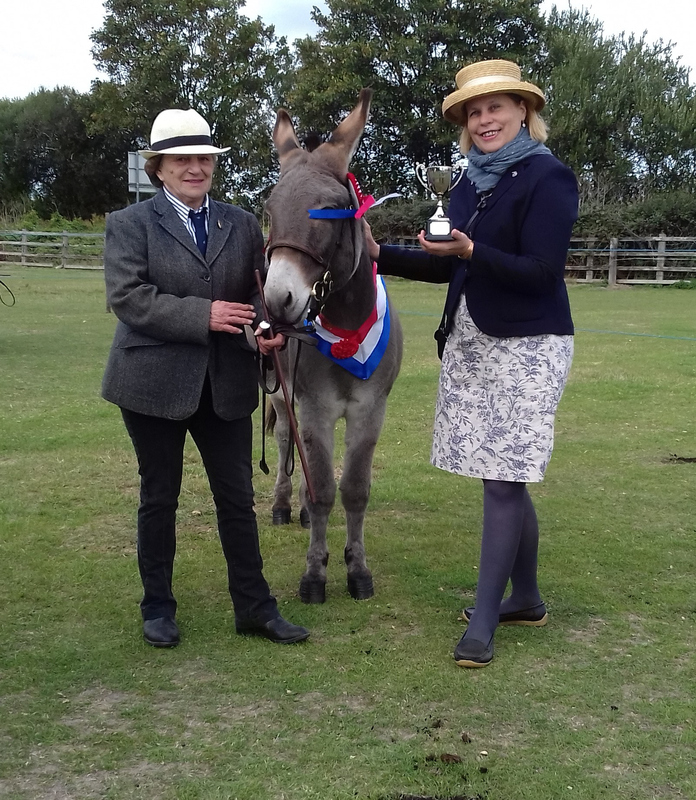 The trophy was presented by Angela Scales who, with her husband Peter, work tirelessly for the DBS and helped to introduce donkey driving classes at the Island Farm Donkey Show in 2015. 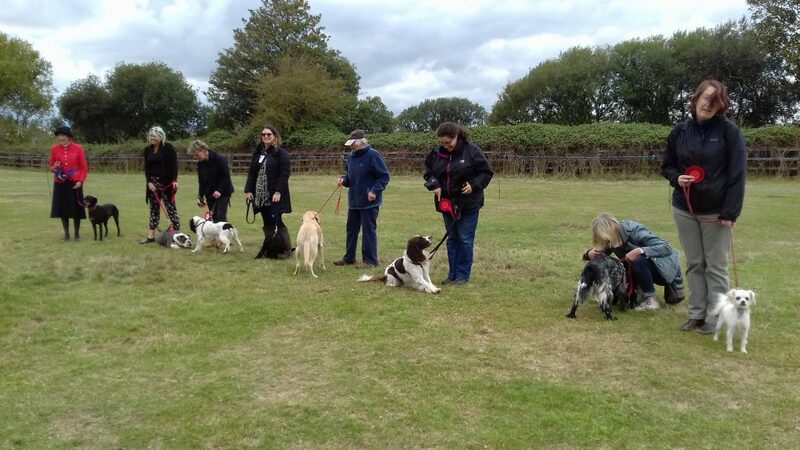 Also in the photos is Tracy who has been Pollyanne’s understudy if ever she was not able to appear at an event. Don and Jean Grant from Worcester shared a love of animals and would never ignore any creature in need. 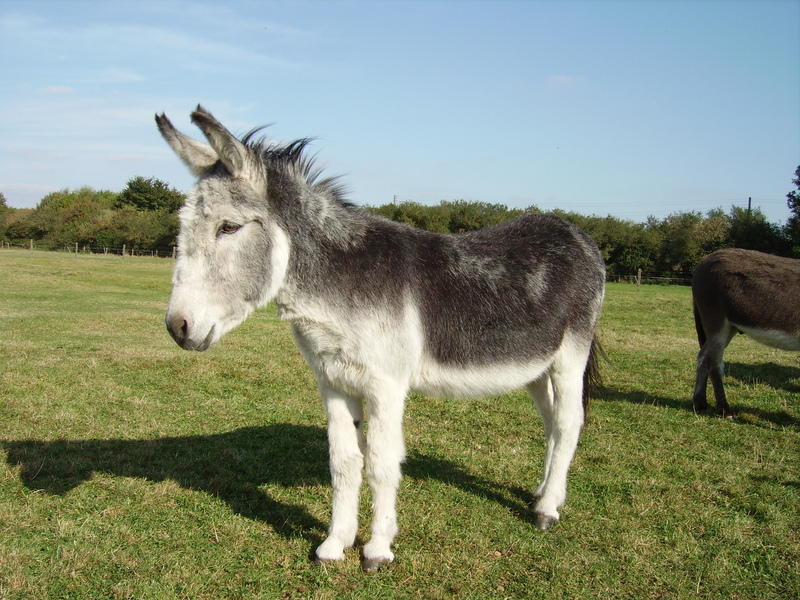 They would offer the use of their stables and fields as a home for any donkeys and they loved to help care for them. 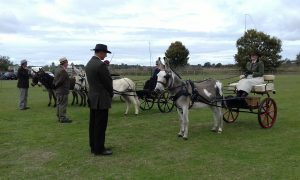 Don and Jean’s support of the Donkey Breed Society continued with them helping at Donkey Days, Sponsored Walks and were always spreading the word about donkeys, their welfare, care and needs. 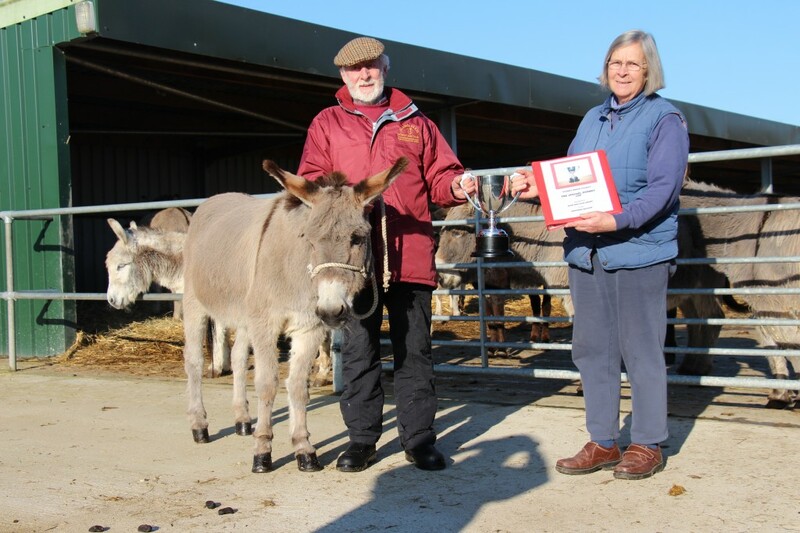 Following Don’s retirement as a Silversmith he and Jean kindly donated a trophy which was to be awarded to a donkey that has helped to promote the welfare and public awareness of donkeys in need. 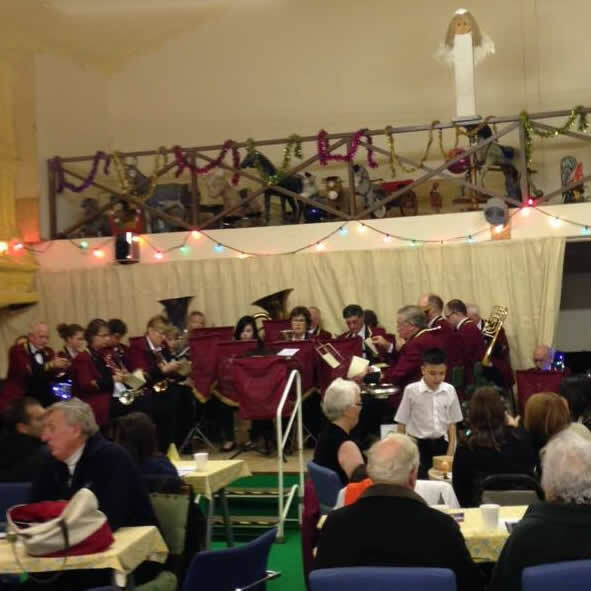 Thank-you to everyone who came and supported us and a huge thanks to Roke and Benson Brass Band for the wonderful music. 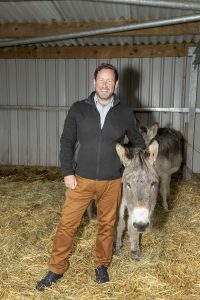 When you go down to the shops today you might be in for a surprise, at least if you shop at certain supermarkets near Island Farm Donkey Sanctuary. 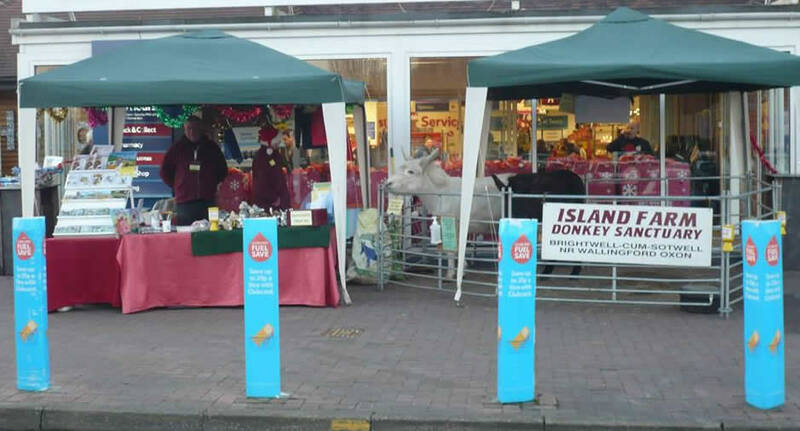 Some Island Farm donkeys outside Tesco’s Abingdon store. 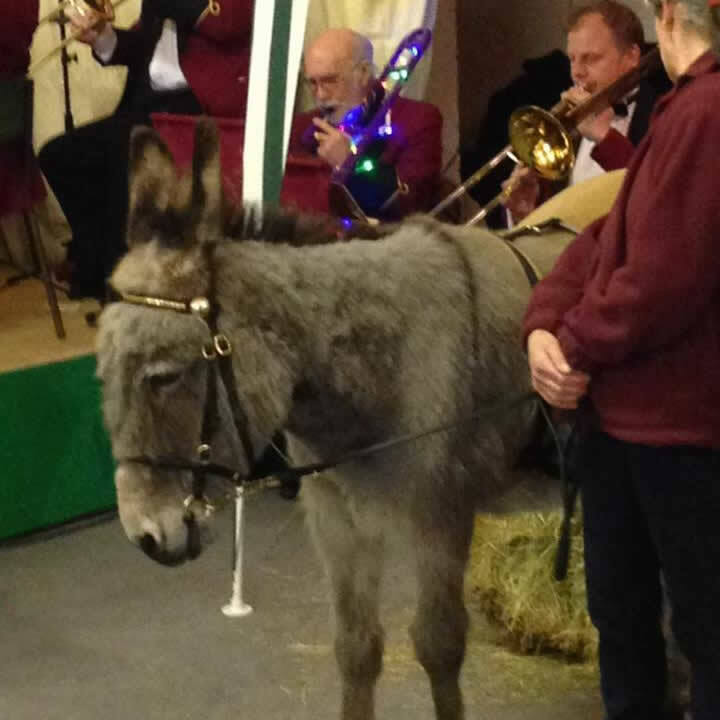 We’re pleased to be able to bring a couple of donkeys to meet Christmas shoppers at super stores in South Oxfordshire. Here we are in Abingdon. Just a few days ago we visited the Tesco store in Didcot. 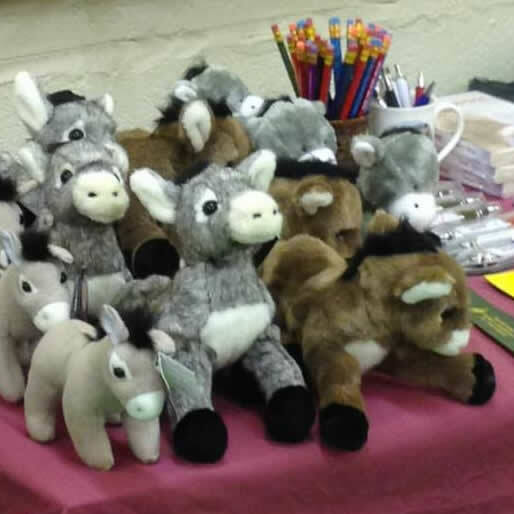 All contributions including the proceeds from sales of Island Farm Donkey Sanctuary products help to keep the rescued donkeys safe, healthy and happy. Here’s a huge thank-you to everyone who has helped us or just paused to say hello to the donkeys. 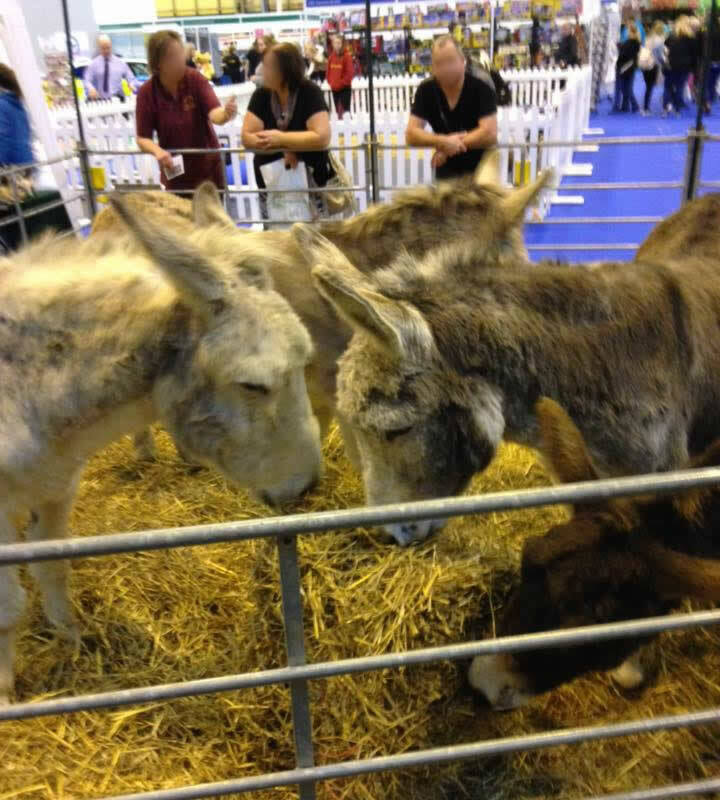 Some of our donkeys will be at the National Pet Show in Birmingham this weekend. 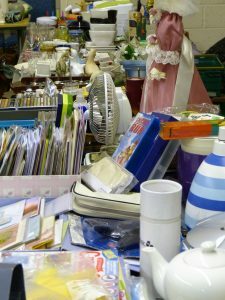 The event takes place at the NEC Birmingham this weekend, 7-8 November 2015. 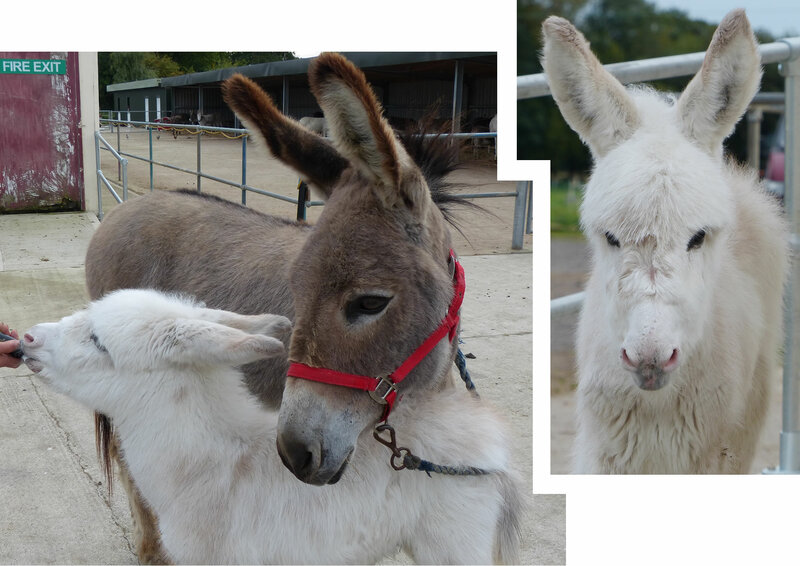 There is a huge variety of animals here including dogs, cats, alpacas, rabbits and, of course, some very special donkeys. There will be talks by experts in different types of animals, even crocodiles! Other attractions include rabbit show jumping and duck herding. 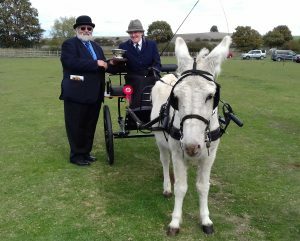 With well over 100 donkeys living at Island Farm Donkey Sanctuary at the moment, only a few representatives travel to any one event. 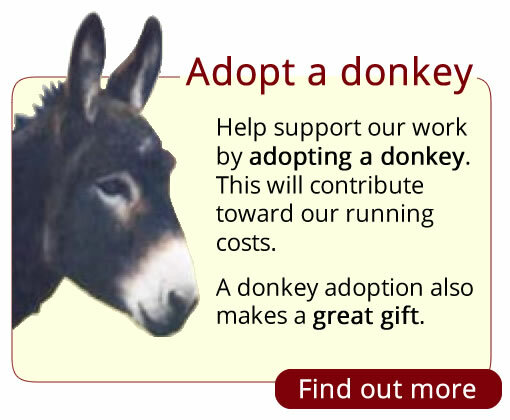 This time our little group includes Monty, Chocolate (who is an adoption donkey, by the way), Charlie (you can also adopt Charlie) and Charlie ‘North’. When they aren’t busy eating the donkeys take an interest in what is going on.